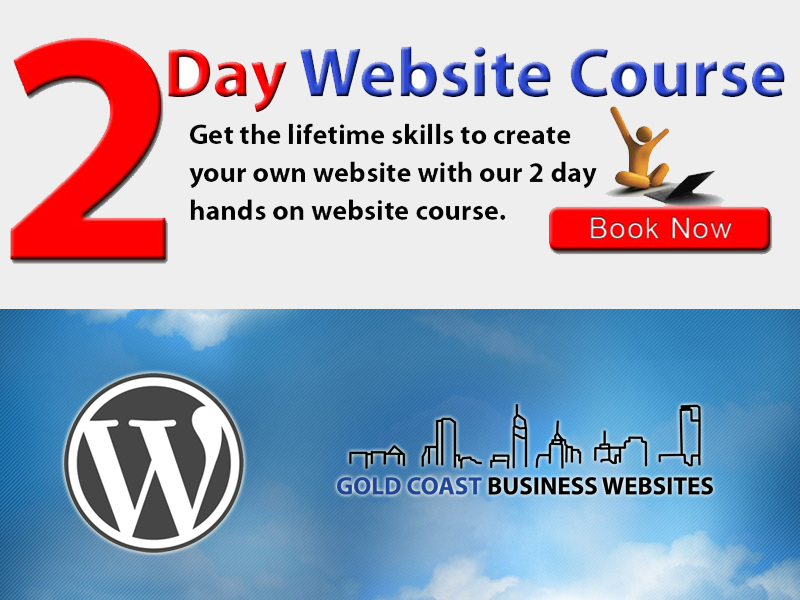 We are very excited to announce that our widely anticipated 2 day hands on WordPress website training course has finally been released on the Gold Coast. The dates are set, the preparations are underway for, what has been expressed, as the most exciting thing ever to hit the Gold Coast. Sure, there are other WordPress courses you can do on the Gold Coast, however this one is sure to impress. With 2 days of jam packed information full of value and lots or fun, you can certainly be assured that people will not only be walking away with a website that they have created themselves, they will also have smiles from ear to ear. The benefits of having 2 days is that there is plenty of time to absorb all the important information and have the ability to ask lots of questions. This course will surely be an improvement on those 1 day events and also online videos. The course participants will be receiving the very best training from Paul Luxford. He has been training WordPress for more than a year and half and has been developing websites for over 10 years. He has also built over 50 WordPress websites combined including some of his own income generating websites. Our WordPress website training course is set for later this month. They will be both full days from 9am until 4pm and all the goodies of WordPress will be revealed. Each participant will be walking away at the end of the 2 days with a new prospect on life. They will know the secrets of web development and they will be able to go on and build many more websites to create an online income or to advertise their products and services to the world. The skills to build a search engine friendly website & mobile friendly website app. Comprehensive course workbook / manual. 4 Gb USB thumb-drive filled with essential software, plugins and themes. 30 Days VIP Membership which includes support and access to member benefits. Drinks, Snacks and Lunch provided both days. The course is open to anyone from any age and any background. It is designed that beginners and WordPress users from all skill sets will be able to enjoy the content. The course investment is only $495 + GST. This is a great opportunity and a fantastic deal with several people already signed up. We will be asking for honest feedback about the course and a video or written testimonial at the conclusion. There is only space for 10 people and the seats are filling up fast. You can find out more about our course on our WordPress training course page. Or you can Book Now by calling Paul on 0405 614 155.